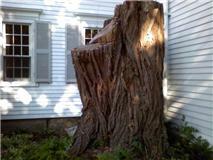 One couple wanted a chair made out of their 4 foot locust stump after cutting the tree down. 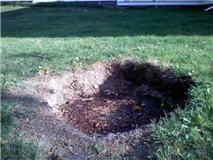 7 1/2 Foot across Elm Stump, Ground and Filled with Topsoil after. 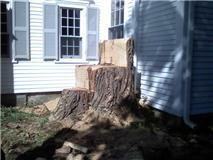 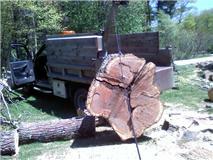 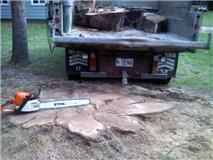 Four 18 inch oak trees, one stump, cut and ground.